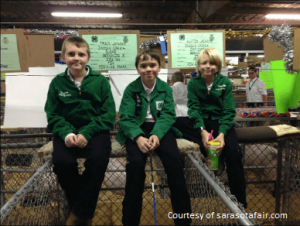 Sarasota County Farm Bureau is an active participant in the Sarasota County Fair each spring. The local Farm Bureau holds a Fair Food Booth to support youth education for area FFA and 4-H students. Area volunteers serve up a full barbecue dinner of chicken, pork, ribs, various sides and home-made desserts. More than 100 volunteers help make the annual fundraising event a success.